You have to vote for who you think will be the best president. You have to live with your choice. You have to be able to look at yourself in the mirror every morning. It’s your vote, and you should choose who you most support. Everyone is saying that you have to pick between Trump, or Hillary. But you don’t. You can write in any name that you want. You could write Mickey Mouse if you wanted, and he’d get a little tally next to his name when the votes are counted. You can still vote for Bernie if you want. Sure, if you’re the only person who votes for Bernie, then that’s a vote that didn’t stop Trump or Hillary, but at least you can look at yourself for the next four years. At least you won’t question your choice for the next four years. But think about it this way. If all of the Bernie supporters, who didn’t get to vote in the primary election, and all of the Bernie supporters who did, all write in his name, he could be the next president. Think about it. The registered democrats all voted, and in most states, Bernie and Hillary were pretty close. But then add in all of the registered independents who weren’t heard in the primary. Lot’s of young people despise the two party system, and have registered as Independent because they don’t want that association, or that label next to their name. Those same young people support Bernie, an Independent, but their voices weren’t heard because they weren’t allowed to vote. If all of the Bernie supporters write in Bernie, I think, he has a pretty good chance of being elected. Just because the Democratic Party, which is not Bernie’s party, didn’t choose him as their nominee, doesn’t mean he can’t still be president. When November comes, just remember that you have to live with yourself after you vote. And more importantly, remember that you can vote for whoever you want on election day. 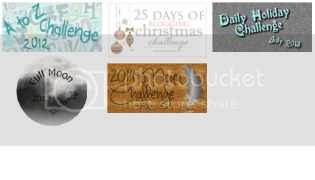 For my Daily Blogging Challenge! This entry was posted in Daily Blogging Challenge July 2016, Uncategorized and tagged bernie sanders, election, life, politics, postaday, voting.